PHD Inc. recently released a new mobile friendly website to provide phdinc.com users a more optimal viewing experience. Now, users can now easily read and navigate the PHD 3D catalog using any device on any operating system. From a desktop, tablet or smart phone, phdinc.com now delivers content that is optimized for ease of use. 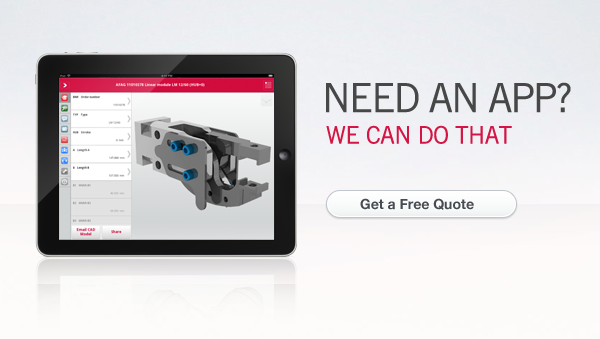 The new mobile site is in addition to the PHD 3D CAD App, which provides digital parts data for Apple iOS devices. PHD is expanding their reach with the mobile website, providing data to users on many other platforms. Now, PHD’s distributors and customers can easily get the product information they need, including CAD and sizing data from a site that they are familiar with. Users with a MyPHD account can also start a project from their mobile device in the field and finish on their PC. The clean and simple design emphasizes PHD’s dedication to stay current with leading technology to provide our users with the best digital customer experience.